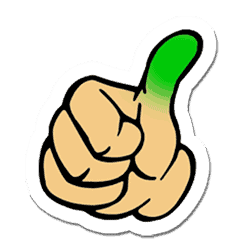 Take a poll of all your family and friends and ask what vegetable would they would grow. 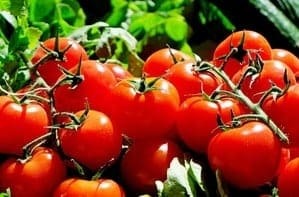 You will probably hear growing tomatoes as one of the most popular vegetables growing choices. In this video, Jeremy Starke from Green Thumb Gardener shows you how to harvest sunflower seeds for saving. Saving sunflower seeds will allow you to replant sunflowers for next year or you can eat certain varieties. These techniques can be applied for the giant mammoth sunflowers or the small & medium sized sunflowers. Get your kids involved in harvesting sunflower seeds. It one of the easier ways to save seeds. Cut off the sunflower head after the flower dies back and then scrape off the sunflower seeds. You would need to let the sunflower seeds dry out a bit after you harvest them. Cut the sunflower head off and let it dry out in the sun. This is the lazy way to harvest sunflower seeds. The sunflower seeds will easily pop out once it is completely dried. QUESTION- Have a question about harvesting sunflower seeds or saving sunflower seeds to plant next year? Post in the comments section below! Saving sunflower seeds could not be easier to do. Have you always wanted to know how to save lettuce seeds? Did you just harvest romaine lettuce from your garden? Do you want to continue to grow the lettuce that you just picked? It is so easy to collect and save lettuce seeds that you will be amazed that you didn’t start sooner. This is a simple way to determine if your lettuce is bolting and getting ready to seed. This is helpful if you want to know how to save lettuce seeds. How to know when your lettuce is bolting or going to seed. 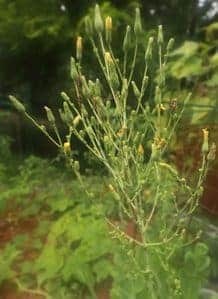 QUESTION- Have a question about saving lettuce seeds? Post in the comments section of this blog!